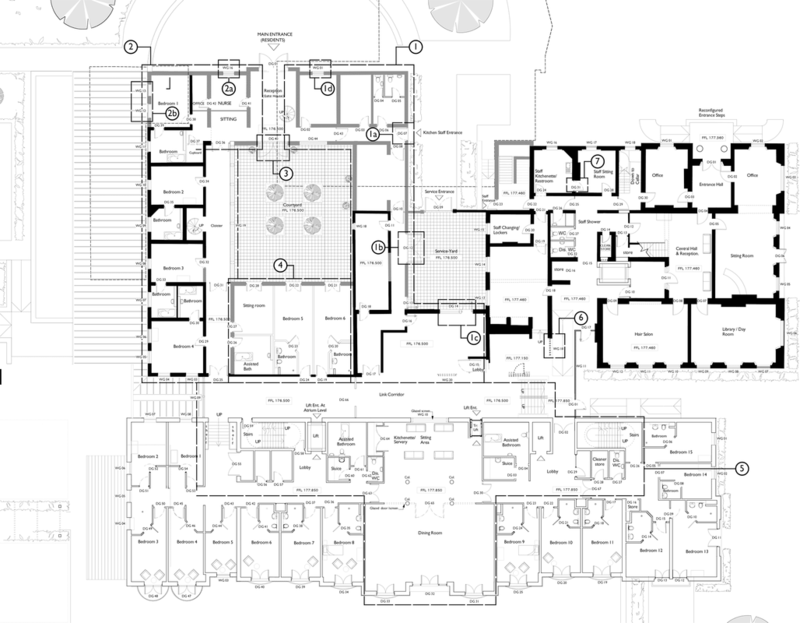 Acanthus Clews has a breadth of experience in a wide range of healthcare architecture. We combine creative thinking, technical expertise and an abundance of experience to produce buildings of exceptional quality and value to its users, with the highest regard for state of the art healthcare principles. Our care home architects understand the specific needs of healthcare buildings and always work to individual specifications. Bespoke solutions reflect your vision and philosophy with style, precision and care. Our aim is to create the right environment to deliver the best possible care. Building on our extensive conservation and planning skills our particular specialism recently has been in the extension and refurbishment of existing listed properties or estates. 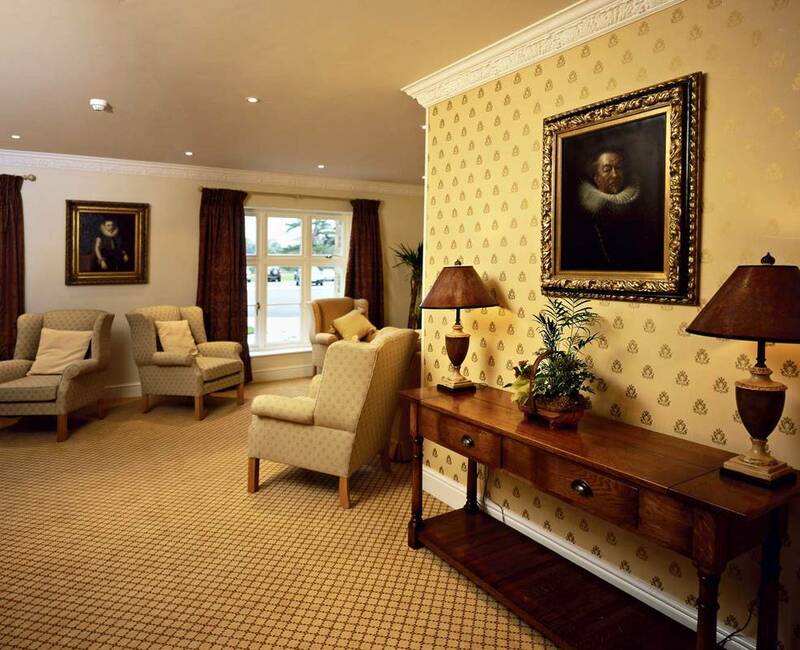 Godswell Park is a state of the art new 45-bed luxury care home, providing the highest quality residential and nursing care, with single en-suite rooms enjoying extensive views in the centre of the village of Bloxham, Oxfordshire. The original stone residence was built in 1870 and the extensive new accommodation has been very sensitively integrated onto the site to provide a harmonious new care home. Care has been taken to maximise natural light within the building and take full advantage of the stunning views of the surrounding landscaped gardens. The design ethos of the building was to support individual personality for residents rather than representing an institution. 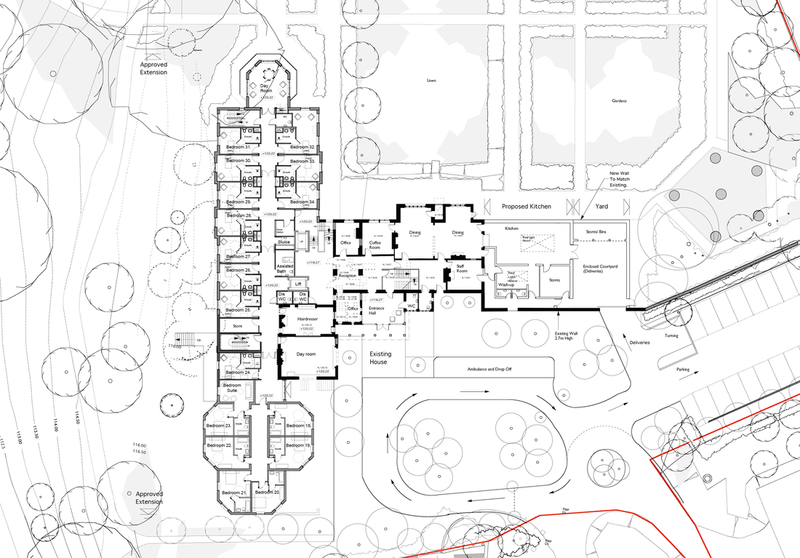 The proposals involve the extension of the current dining room to create enough dining space to accommodate the increase in numbers generated by new close care apartments. The scheme also incorporates a new external covered walkway connecting the close care apartments and car park, which provides a direct link to the dining room. This allows inhabitants of the apartments to visit the restaurant/dining room without walking all the way around the building and through the front door. Badby Park nursing home is a purpose-designed facility dedicated to providing specialist nursing and rehabilitation for people with Neurological illnesses and disorders. Formerly a monastery, the original Grade II Listed late Georgian country house and adjoining buildings are set within extensive mature landscaped grounds. Modern extensions had been added which were unsympathetic to the original house. Following the demise of the monastery in 2004 the buildings became redundant. The proposals involved the demolition of the later additions and the refurbishment of the existing historic buildings. As well as providing general spaces, some of the formal rooms in the house provide luxury bedroom accommodation, which overlook the landscape. A new three-storey extension to the rear provides 48 en-suite bedrooms and associated accommodation. The building is set down into the landscape by one storey and it is linked to the house by a glazed corridor. It also adjoins the original walled garden, which is used as a secure outdoor space as well as a serene space for visitors and relatives. The development of the site, and conversion works have secured the future of the buildings and has created sympathetic additions to the Listed buildings. 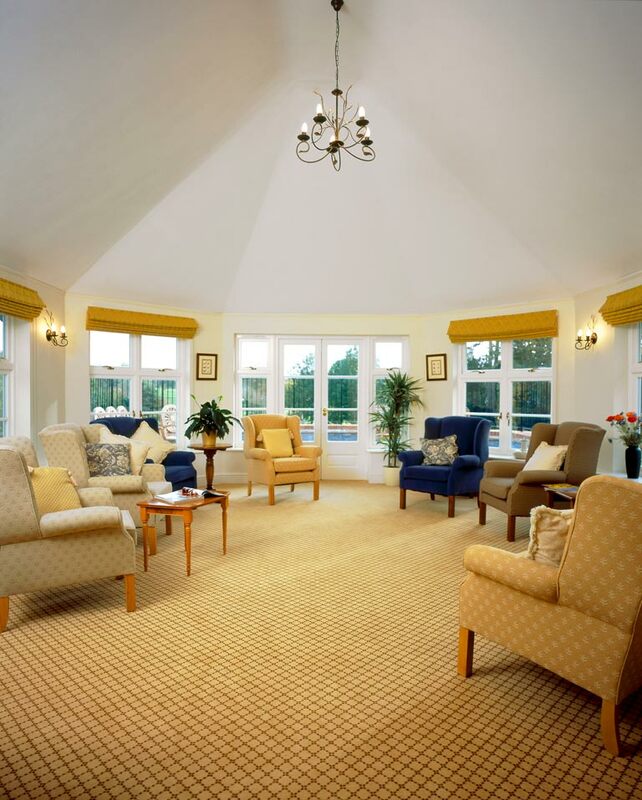 Chacombe Park care home provides luxury accommodation in beautiful mature landscaped countryside. It offers a range of specialist services from 24 hour full time nursing care, dedicated dementia care and independent close care apartments. 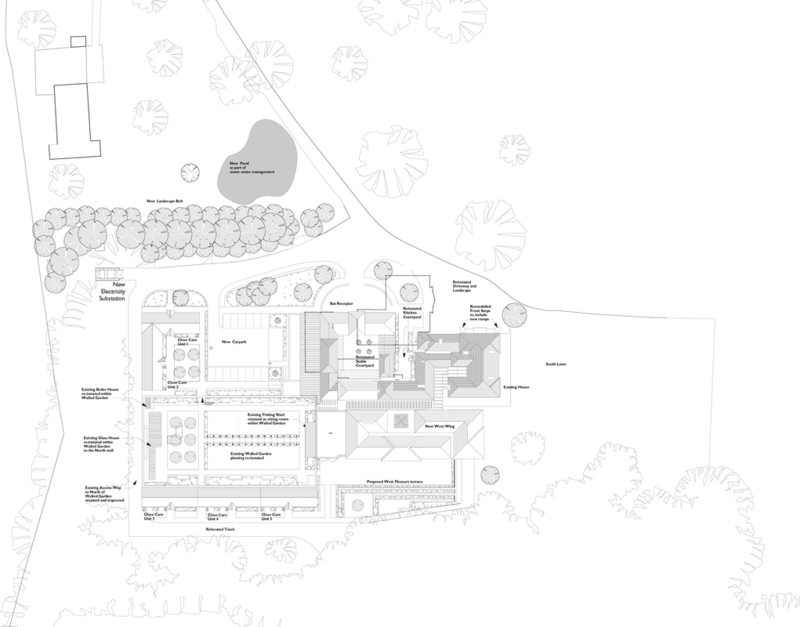 The scheme involved the sensitive integration of new extension wings to compliment the main historic house and to maximise views out to the countryside and Cherwell Edge Golf Course.